Growing up in the Charismatic tradition, I was taught there is power in prayer and it actually makes a difference. There was always an emphasis put on prayer in my household. I was also taught to believe the traditional notion that God is unchanging, unmoved and completely in control of everything. This means God cannot be changed in any way or be affected by anything we do. If you think about it, viewing God in this way renders prayer utterly meaningless. We think of prayer as a relational act. Whether it be a prayer of thanksgiving, worship, intercession or petition we pray expecting our prayer will have an effect on or elicit a response from God. If God is an unchanging, unmoved, all controlling deity, there is no need for prayer because it will not make a difference to God or the divine blueprint He has laid out. If God is in control of everything, we are not free in any meaningful sense. The future is “set in stone.” Whatever occurs is predetermined to happen by God. Your prayers, His answer to your prayers and the outcome of what you’re praying about are all predetermined if God truly is in control in the traditional sense. Let’s imagine for a moment a wife praying for the healing of her husband who is suffering from a terminal illness. Now let’s say he succumbs to his illness. In this traditional view of God, He not only determined the husband’s death but He also determined the prayers of the wife only for her to be devastated at the outcome of her unanswered prayer. This is the absurdity we are left with when viewing God as the all controlling, unchanging, unmoved mover. 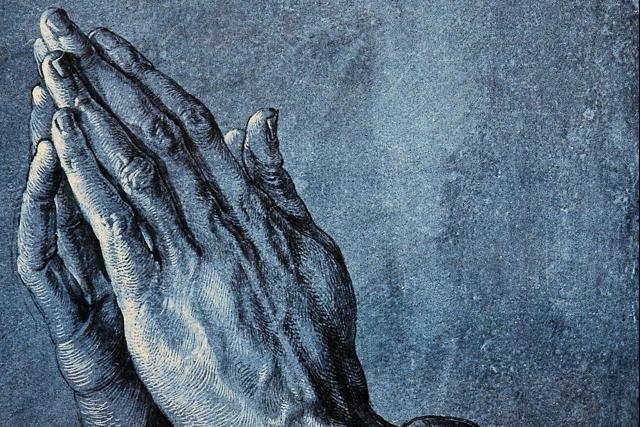 Now that we’ve seen the traditional notion of God leaving us with practically no meaningful reason to pray, I’d like to suggest a way of understanding the nature of God and the world which makes better sense of prayer and our experiences with it. Prayer requires a kind of reciprocity in which only a deeply relational God would be able to engage. Genuine relationship is only possible in an open undetermined world. To pray a petitionary prayer is to presuppose the future is not set in stone. You’re asking God to do something you believe can either come to pass or not. If God knows the future completely as a closed set of facts, petitionary prayer is useless because whatever God knows about the future is what is going to happen. No matter how much you pray it cannot make a difference because God’s knowledge cannot be denied. If the future is open ended as we suppose it is when we petition God for something, prayer can make a difference in what comes to pass. In this model of the future God knows it as a realm of possibilities, but which ones will be actualized is not yet knowable to God or creatures. Let’s visit the same scenario of the wife praying for her terminally ill husband. In this view of God, He receives her prayer and works in every way He possibly can towards the healing of her husband. Although God knows the possibilities and the probabilities of what may happen in this situation, He does not know with complete certainty what the outcome will be. This makes praying that much more important because our prayer can affect what comes to pass. The power of God is better understood in light of His nature of uncontrolling love. Because it simply isn’t in God’s nature to control others, His power is influential rather than coercive. This too has profound implications for how we view prayer! Since God is always loving He does not control others as a means of achieving His ends; consequently, it doesn’t make sense to pray for God to be controlling over someone or something. It simply does not work that way. Our prayers should be influential in nature. When we pray we are not forcing God to do anything or magically making things happen. Rather, our prayers influence others, God and the world in ways that wouldn’t have been had we not prayed. They add to the possibilities available for God to work with in each moment. God is always doing all He possibly can do to work for the good of creation. Prayer is simply becoming aware of the Divine Presence already active in our life and the lives of others and aligning ourselves with His good purposes in order to partner with God to achieve His will for creation. Knowing God is essentially loving and relational means we can be certain God is not deaf to our prayers but He receives them and uses them to make a real difference in the world. Although we may not always see the immediate effect of our prayers it should not discourage us from praying. I hope I’ve shown in this short essay the importance of the way we think of God and the implications it has for our prayers. You make a compelling case for the futility in praying to a God who has predestined everything but I am not convinced that praying to a God who is already loving to the greatest extent possible in every moment is very convincing either. How could a wife practically pray for her terminally ill husband and it be efficacious or “affect what comes to pass”? Certainly, it could affect the wife (partnering prayer) but apart from the wife how could it change God, increase God’s knowledge, or change God’s actions in any way (petitionary prayer)? You write “although God knows the possibilities and the probabilities of what may happen in this situation, He does not know with complete certainty what the outcome will be”. Your implied argument is that because God does not know all things the wife can pray and somehow inform God of something God did not know, therefore, increasing the chance of God loving differently, and presumably, more effectively. I cannot see how this is even possible. If God was loving her husband and doing everything in God’s power to heal her husband, then what possible relationally-conveyed-information could the wife provide about her terminally ill husband that God would not know otherwise? The answer is, absolutely nothing. God’s intelligence is infinitely wiser than the wife. As a matter of fact, God knew about the husband’s illness before the wife or the husband knew about it (just like doctors could look at symptoms and make a diagnosis, God could do the same—God has the best X-Ray machine in the world). There is no practical information that the wife could provide about her husband that God would not already know. Additionally, there is no information or requests the wife could provide that could increase God’s love in her husband’s life, since even before the wife prayed, God was loving to the greatest extent possible. Looked at in a different way, if the wife never prayed petitionary prayers for her husband the outcome would be the same: God would still love and heal her husband to the greatest extent possible. Whether she prayed or didn’t pray it would not change the outcome or “affect what comes to pass”. The only way it would change the outcome is if she surprised God and gave God a novel idea or new possibility, which could never be the case due to God’s superior wisdom and intelligence. It appears that it is futile to pray to both a God who has predestined all things. It also seems futile to pray petitionary prayers to a God who doesn’t know the future but is always and already loving in the best possible way in every moment for all creatures. Thanks for your thoughts on the essay, Mark! I think you may have misunderstood the intent behind my illustration of the wife praying for her ill husband. My point was not that through her prayer she informs God of something He did not know but rather that her prayer becomes an additional influence toward the healing of her husband. I believe God’s power is influential in nature but I also believe God empowers creatures and ulitimately the power we have is also influential so that we can align our will with God’s and pray for the healing of another.. I’m proposing that our prayers are action at a distance, so to speak. Once again, my argument is not about praying to align our will with God’s will (partnering prayer), which is logical and makes sense. My struggle is with petitionary prayer. Without appealing to mystery, something Tom has pushed back on in his EK theory, how exactly is her prayer an additional influence toward the healing of her husband? What is the nature of this influence and how exactly can her prayers “affect what comes to pass?” You are basically implying that through the wife’s prayers God will be able to love her husband in a qualitatively and quantitatively different way and in a more substantial way. I am asking for the nuances of the differences between her not praying for her husband and her actually praying for her husband, which you have said in your own words, “affect what comes to pass”. What is the nature of this “influence” that if not enacted diminishes God’s ability to love and heal to the fullest extent possible? If there really is no tangible difference or actual “affecting what comes to pass” between her praying, or not praying, then it is futile, at least with the sole motivation for praying for a different outcome. Praying to God with the motivation of sharing one’s heart to God because God loves the relational act of sharing is one motivation, which seems beautiful and reasonable. Praying with the motivation of thinking that a loving God, who is already doing the most loving acts in every moment, can do even more loving acts through the act of praying, which is your argument, seems like magical and wishful thinking rather than reasonable. I think you may have misunderstood the intent behind my illustration of the wife praying for her ill husband. My point was not that through her prayer she informs God of something He did not know but rather that her prayer becomes an additional influence toward the healing of her husband. I believe God’s power is influential in nature and I also believe God empowers creatures and the power we have is also influential so that we can align our will with God’s and join God in working toward the healing of another through prayer (and other means as well). I am proposing that our prayers are action at a distance, so to speak.